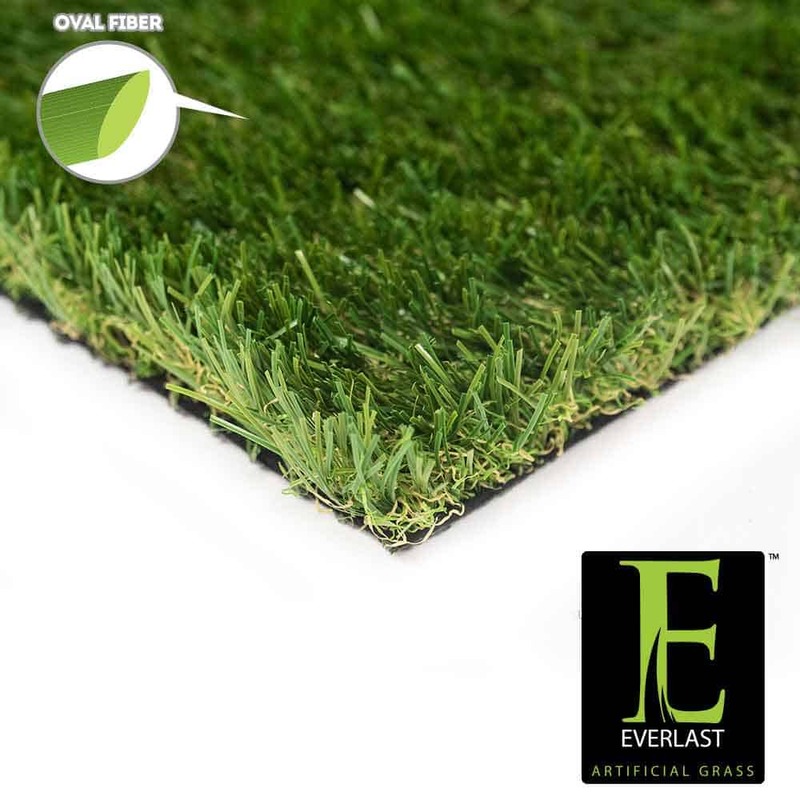 Landscapes have never looked more perfectly manicured with Everlast Turf Sequoia Light synthetic grass! A perfect landscape is now easy to obtain! Sequoia Light synthetic turf features a beautiful field and olive green grass blade color duo paired with a brown thatch in a lighter approximately 45 ounce face weight. Perfect for landscapes that experience light to moderate traffic, Sequoia artificial grass makes a wonderful addition to any front lawn, backyard or commercial property! Each grass blade is equipped with U.V. preventive properties during the manufacturing process, so your synthetic turf will not fade! Armed with the latest tuft bind technology, this artificial turf is triple reinforced into the turf backing so the grass blades will stay put–even during playtime with children or your furry friends! Guaranteed by our 15 year warranty, Sequoia Light synthetic grass is a perfect landscape for any residential or commercial installation! See what all the fuss is about with Sequoia Light synthetic turf!